Trent Robert Pridemore resides in Grass Valley and Carnelian Bay, California. He studied field zoology at University of California at Santa Barbara, graduating in 1963. During that time he worked as a timber cruiser on California’s Lost Coast. After receiving a doctorate at University of California at San Francisco Medical Center in 1967, the Air Force posted him to the Philippines. His lecturing career started at University of The East in Manila. Returning home, he opened a dental practice in Pleasanton, Calif., where he worked for SACDS dental society as a director, as peer review chairman and lectured on dental esthetics during his tenure in private practice. Interest in fly fishing and angling conservation, combined with his background in zoology, led to a position as Project Chairman and Biological Consultant for The Little Truckee River Trout Restoration Task Force. He and three others formed California Fisheries Restoration Foundation to facilitate conservation projects. In 2006, he orchestrated protective Regulation Proposal Changes for the Truckee River system and received the “Black Hand” Conservation Award. Trent switched from scientific writing to creative endeavors in 2003. He took classes at UC Berkeley Extension, Los Positas College and from private coaches. 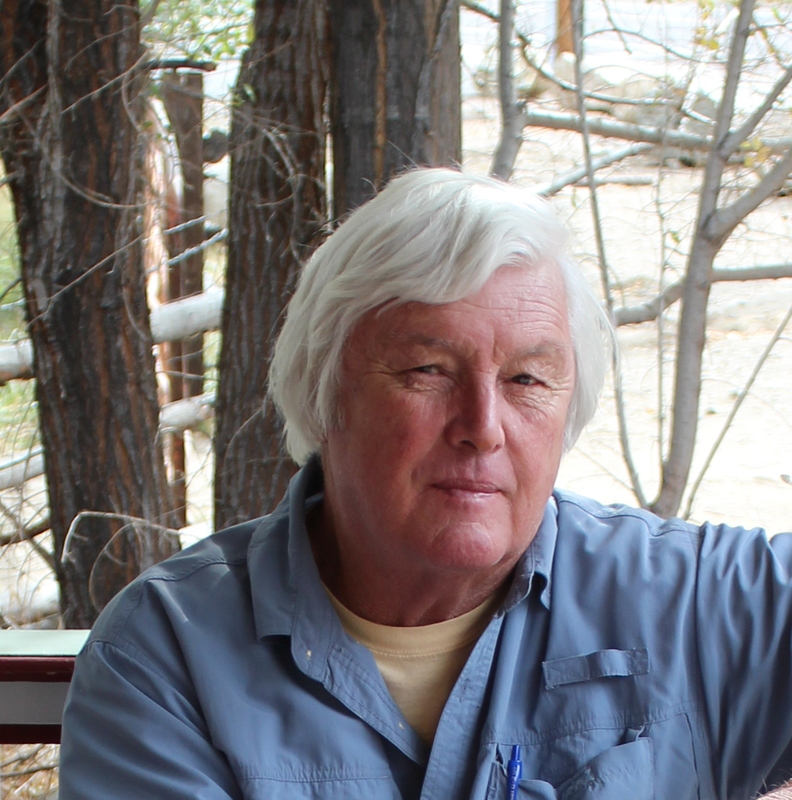 This published author has written and photographed for Sierra Heritage, is a member and two time alumnus of the Community of Writers at Squaw Valley, and is a member of Sierra Writers. He writes bimonthly for Richard Anderson’s California Fly Fisher. A Stillwater column focuses of fly fishing in lakes. A second, called The Foraging Angler, ranges from restaurant reviews to outdoor cooking. He also writes occasional feature articles and CFF has published several of his stories from Chasing Rainbows as first person pieces. He has written for Tahoe Maritime Museum, lectured at Lake Tahoe’s Gatekeeper’s Museum and has done guest appearances on radio and television. He teaches fly tying, Fly Fishing 101, aquatic entomology, and speaks on the California Fly Fishing Circuit including the International Sportsman’s Exposition in Sacramento. He has taken classes from Jeremiah Tower, has studied at The Culinary Academy in San Francisco, Ramekins, Chef West, with Alan Tengrin of Chez Panisse fame in Grass Valley, International Kitchen in Spain, Portugal and at Los Dos in Merida, Yucatan. This writer is a member of Sierra Vintners and Grape Growers Association and works as an Outreach Ambassador and photographer for Bear Yuba Land Trust. He works daily on a collection of literary angling stories called Chasing Rainbows…Tales of a Well Traveled Fly Fisherman, and a cookbook, Recipes from Jackrabbit Hill…Sierra Foothills Cooking in a Small Vineyard Setting. Another memoir project, Winds of Mourning, is set in Southeast Asia during the Vietnam War. Find him on Facebook and LinkedIn. I thought from having known you for 40 plus years that I knew you pretty well, but your bio opened my eyes to a lot of Trent that I had no clue about !! Will be interesting and informative watching your web site grow. Too late in the morning to be at the computer. Knocking off the desk work and heading for town. It’s a swim day. Nice to see that somebody looked at website. Making a push to find a publisher for Chasing Rainbows project that I’ve been working on since retirement ten years ago. You would recognize some of the characters mentioned in the book. Good fishing to massive caddis hatch Wednesday evening on Lower Yuba. Best of the year. It’s nice to hear from you and see that someone looked at the website. My young tech consultant and I finished it up last night. It’s part of a push to find a publisher for my book project, Chasing Rainbows. I danced around my Major in college….liberal arts and science. Life here in the foothills is very good. We are fortunate to live in a beautiful area and be surrounded by interesting, talented folks. Looking forward to seeing you at the Reunion! Like your e-mail address. Sounds like you’ve led a interesting life.